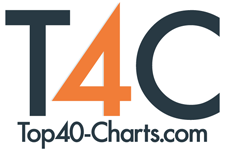 New York, NY (Top40 Charts) Can't find what you're looking for? Lost in our site? Have some feedback to send us? Something is not working? You can now contact us directly from any page without leaving the site at all. All you need is to be logged in in your account (free or paying, no matter) and click the orange chat button on the bottom right of your browser window. A chat window will open, fire up your question or message. We'll make sure to get back to you as fast as we can. If you're not a member yet, sign up for a free account, enjoy 2 weeks of ad-free browing on our site and message us about it! Update (31/Jun/18): We have enabled the chart in our members page even for not logged in visitors, to allow everyone to contact us directly.